Join us for this exclusive visit of 1a Earl’s Court Square with Sophie Hicks of Sophie Hicks Architects. Hicks founded Sophie Hicks Architects in 1990 while still a student at the Architectural Association. In parallel to her work on flagship fashion stores around the world, Sophie Hicks acquired three sites in London, all in conservation areas, with the intention of building a contemporary house on each. The second of the three, 1a Earl’s Court Square, was completed in 2018. 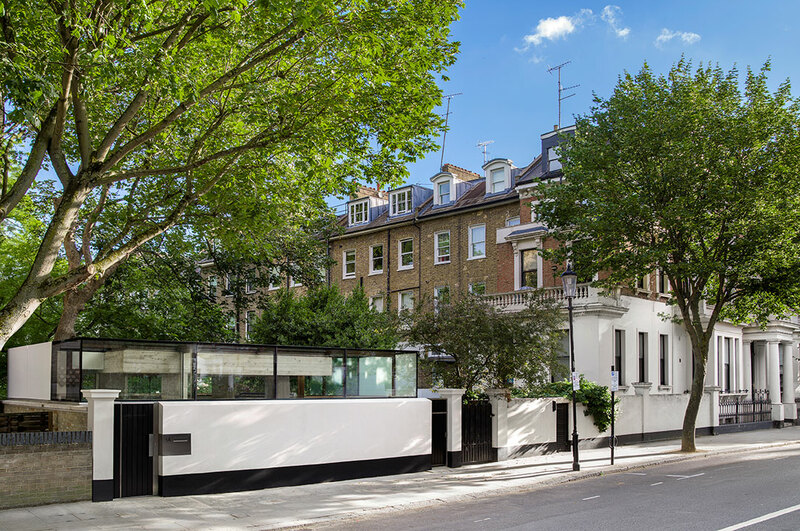 Amidst a climate of opposition to contemporary architecture within conservation areas, Hicks has delivered an example of a modern, sustainable and comfortable home in this Earl’s Court building. Hicks’ houses respect the past, and respond to it, while at the same time expressing the spirit of our times. A rare sight in the Royal Borough of Kensington and Chelsea, this house sits right on the street and does not try to hide itself for being contemporary in its design. Built on a small site of just 75m², the house employs thermal mass through the use of structural concrete to control both its temperature and acoustics. The perception of space is maintained through raising the ceilings and by ensuring the house is visually open to the natural world outside. The visit will take 45 minutes. Posted on January 22, 2019 December 14, 2018 by membership	Bookmark the permalink.